Free People creates clothing for women with femininity, courage and spirit at the forefront of their design choices. Find countless clothing options including dresses, tops, bottoms, knits, intimates, beauty and accessories to feel confident while expressing your individuality. Browse the Free People range via the 'Shop Now' button to earn Cashback on all of your apparel purchases. Cashback is not eligible on the purchase or redemption of gift cards. Never miss out on cashback from your favourite stores. Disable your ad blocking software during your shopping sessions. Do not visit other websites after clicking through CASHREWARDS. For each new transaction, return and click through to the store again. Read the store special terms. You may not earn Cashback on GST, freight, delivery fees and taxes. You won’t earn Cashback if an order is cancelled, changed or returned. Cashback won’t be payable if fraudulent activity is detected. If a gift card is purchased or used as payment. If a coupon code is used that is not listed on CASHREWARDS. If your order is not fully completed online or is later changed. If your transaction does not appear as pending in your account within 7 days from purchase date, please contact us within 45 days to claim your Cashback. 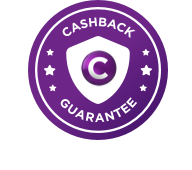 Your Cashback will be approved by the store and eligible for redemption within the estimated timeframe.